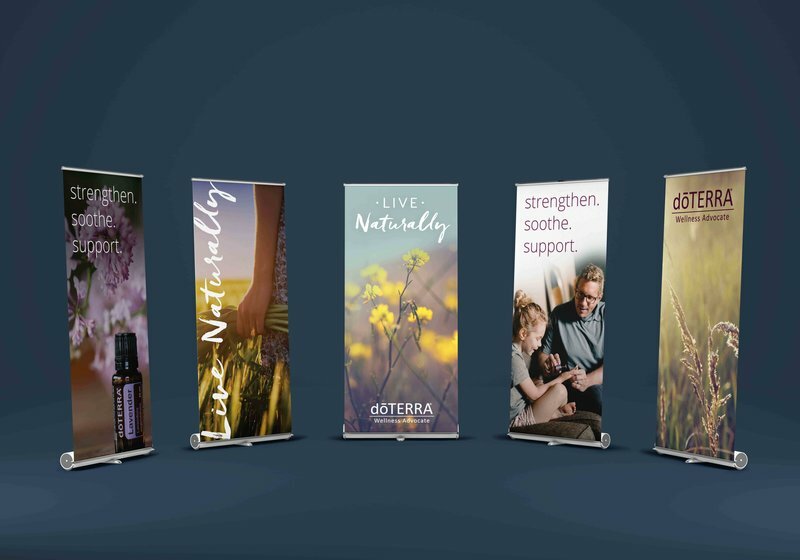 Our Live Naturally retractable banners are the perfect way to stand out from the crowd at public classes, trainings and vendor events. Measuring 33.5" x 79" and printed on premium canvas, each banner has an easy to set up base and includes a carrying case. You'll never need another banner! from time of order to delivery.